Did you know these interesting facts about Agrasen ki Baoli? Agrasen ki Baoli is a historical monument situated on the Halley Road near Connaught Place, New Delhi. A Baoli in English is a step well meant to store water. There are many ancient step wells in India. – The structure of Agrasen ki Baoli was built somewhere around the time of Mahabharata. – The baoli is approximately 15 meters wide and 60 meters long. 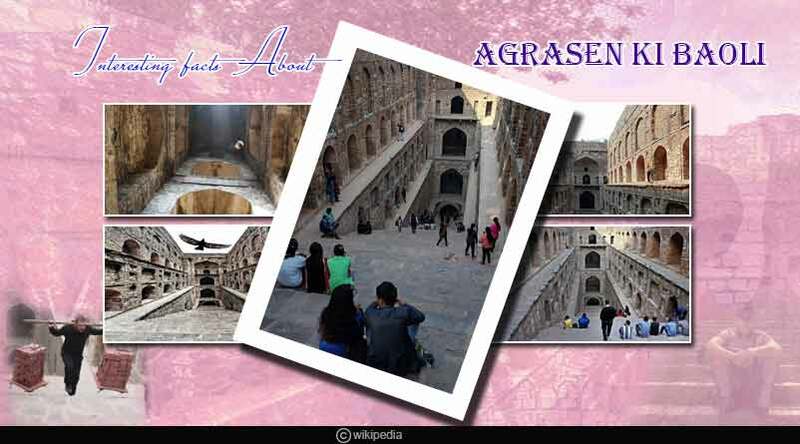 – It is also known as ‘Agar Sain Ki Baoli’ and ‘Ugrasen Ki Baoli’. 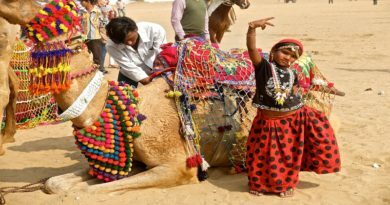 – It is believed that in ancient times, it was a community place where women used to spend time during summers. – The interesting part about this place is that it is famous for being haunted. Visitors have claimed to have felt some strange presence here. – This Baoli is built in three levels, each of which serves as a landing place where people can sit and relax. – It is an ancient water reservoir which is said to be filled with majestic dark waters to hypnotize people and make them commit suicide. – There is a mosque located in the southwestern side standing on four pillars with a heavy stone on the roof. – This location has been used for shooting for various Bollywood films like Aamir Khan’s ‘PK’, Sridevi’s ‘MOM’ and Salman Khan’s ‘SULTAN’. There’s no entry fee can be visited from 9 AM to 5 PM. Morning hours are the best time to visit and experience its beauty. The nearest metro station is Barakhamba road on the blue line. You can also come via Rajiv Chowk metro station at Connaught Place, New Delhi. A photographer’s delight, it’s a great place to visit with your friends and family. The huge trees around and the flying pigeons add to its beauty. For more stories like interesting facts about Agrasen ki Baoli, do Subscribe to our newsletter and follow us on Facebook, Twitter and Google+.